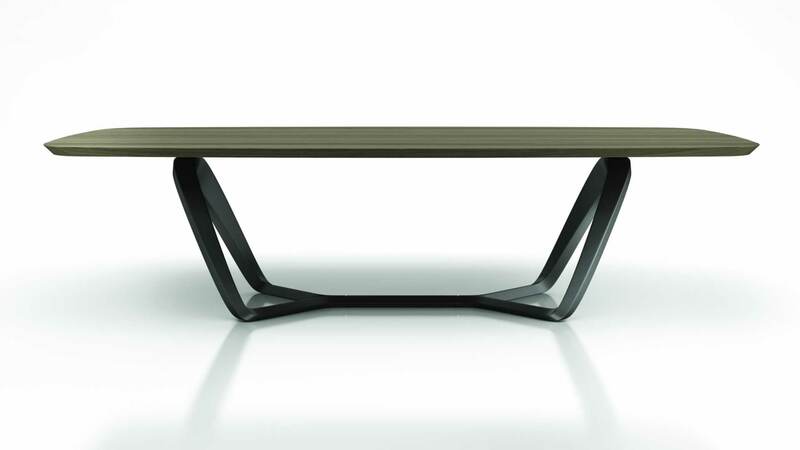 DINING TABLE WITH BASE REALIZED IN MIXED MATERIAL WITH METAL SUPPORT. 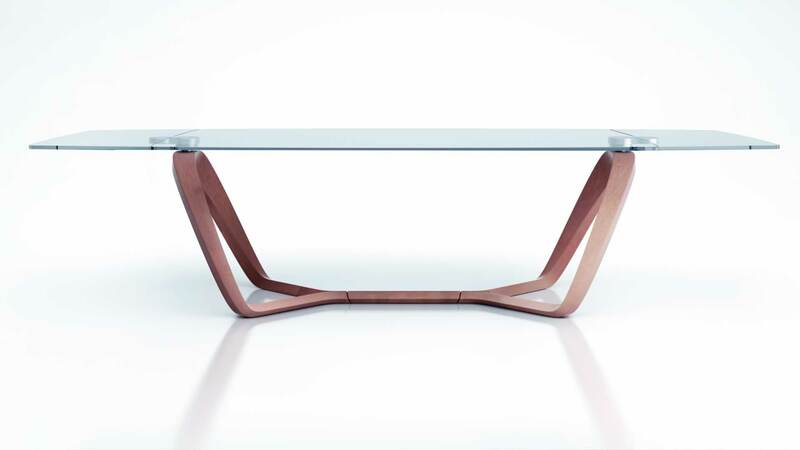 IT IS AVAILABLE IN SHINY OR MATT LACQUERED FINISH (LATTE OR HENNÉ), OR IN COPPER, BRASS OR BRUSHED FINISH. 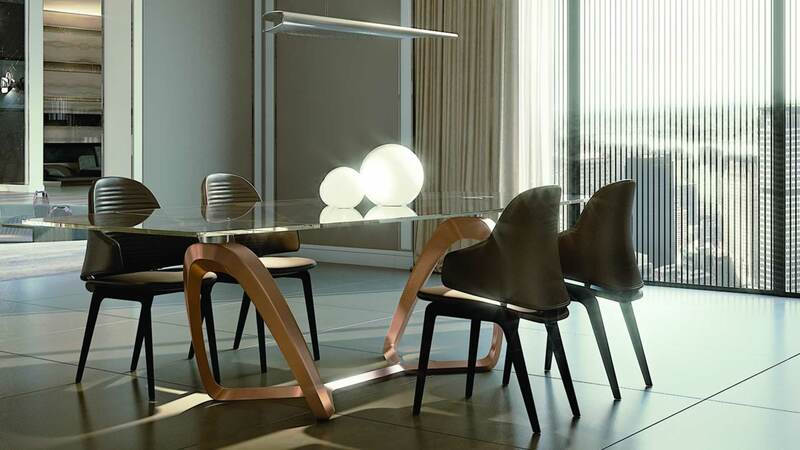 TOP IN EXTRA CLEAR TRANSPARENT GLASS AVAILABLE IN FIXED OR EXTENDIBLE VERSION.